9 Real ales, homemade food and relaxed atmosphere. Come in and say hello, share your gossip and chill out! Red Deer in Sheffield has a beer garden. The pub gives a warm welcome to dogs and their owners, it is a family friendly pub. Red Deer serves food. The pub has a function room that can be booked, it serves real ale. Red Deer has a real fire. The pub has a smoking area, it has free WiFi. Red Deer has live music events. The pub holds quiz nights, it is a member of the BII. 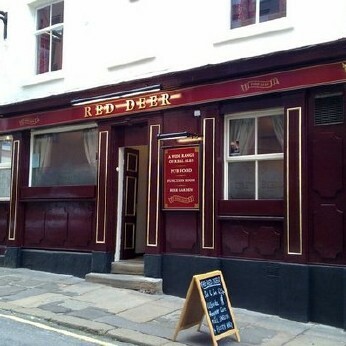 Red Deer is a member of Camra. The pub is a member of Cask Marque.